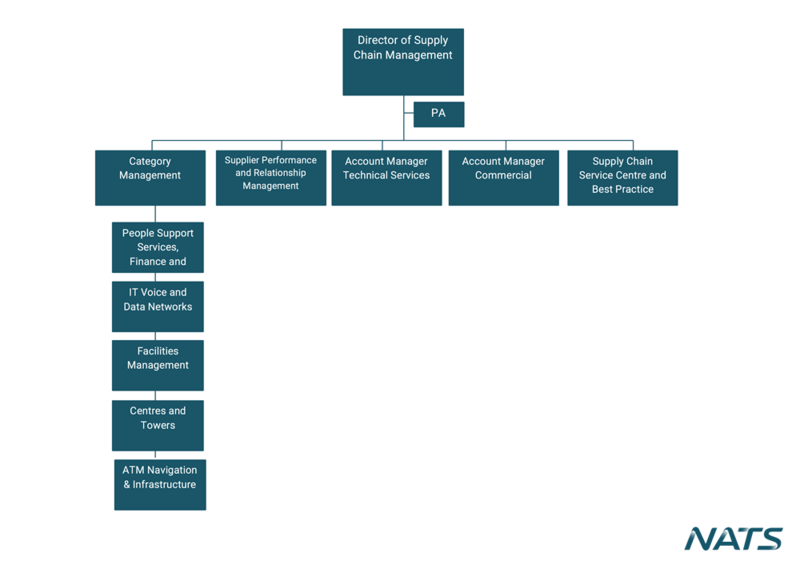 Category Management – accountable for all third-party spend across NATS, the team will be working with the business and suppliers through all stages of the supply chain life cycle to develop solutions that deliver best value to NATS. Major Sourcing Programmes – sitting within the Category Management team, this team provides flexibility and expertise to support significant projects across the whole of NATS. Supply Chain Service Centre and Best Practice – accountable for delivery of supply chain transactions, tactical sourcing, systems development, develops and governs all Supply Chain processes, policies and procedures, on-going performance reporting and strategy development. Supply Chain Partnerships – accountable for identifying, fostering and managing supply chain partnerships aligned to strategies developed by the category teams. What we buy NATS has a diverse range of requirements. Read about our primary categories of products, goods and services. Supplier selection NATS uses a number of measures in its Supplier Selection process, in order to ensure fairness in contract awards. Corporate social responsibility We engage in discussions to reduce the environmental impact of solutions developed to meet our requirements.